We protect wildlife wherever the killing is taking place with non-violent direct action. Dorset Hunt Saboteurs are active in Dorset and the South West of England. We are a well established group, with a continuous presence in the field since 2013. 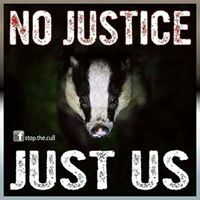 As well as preventing Dorset’s many hunts from killing and abusing wildlife, we are also active against the cruel badger cull. We have secured multiple convictions against hunt supporters and other wildlife criminals. Our covert surveillance and intelligence gathering operations are ongoing against suspected abusers and their accomplices. Our message is simple. If you abuse wildlife, expect to meet us.